NAYPYITAW — Illicit drug production rages on in conflict-torn regions in Myanmar, with supplies being smuggled into nearby countries but also reaching as far as Australia, said the United Nations Office on Drugs and Crime (UNODC). Senior drug policy leaders from the Mekong region – Cambodia, China, Laos, Myanmar, Thailand and Vietnam – and UNODC officials are in Naypyitaw to discuss the illicit drug situation in the region and to negotiate a new strategic plan. “Drug production is high in unstable regions and drugs from those areas are smuggled across the world, reaching even to Australia,” Jeremy Douglas, UNODC regional representative for Southeast Asia and the Pacific Region, told reporters after the opening of the conference. Methamphetamine produced in the Golden Triangle – the border regions between Laos, Myanmar and Thailand – is being seized in large volumes in Australia, Japan, New Zealand, Malaysia and Indonesia, said a UNODC statement. Opium and heroin production have recently declined in the region but production and trafficking of both low-grade Yaba methamphetamine and high purity crystal methamphetamine have increased to alarming levels, said the UNODC. Only a few months into 2018, several Mekong countries have already surpassed 2017 seizure totals, it added. Methamphetamine and heroin are currently estimated to be worth US$40 billion in the regional drug market, according to UNODC Advisor Tao Zhiqiang. According to the UNODC and Myanmar’s Anti-Narcotics Police Force, methamphetamine in the country is produced primarily in Shan State, in unstable areas experiencing armed conflict. The UNODC suggested that the Myanmar government discuss the drug problem as a topic in peace negotiations. Not only locals but also citizens of other countries are involved in transnational organized crime groups that run the illicit drug businesses, said Jeremy Douglas. “They are from different countries including China and Taiwan. 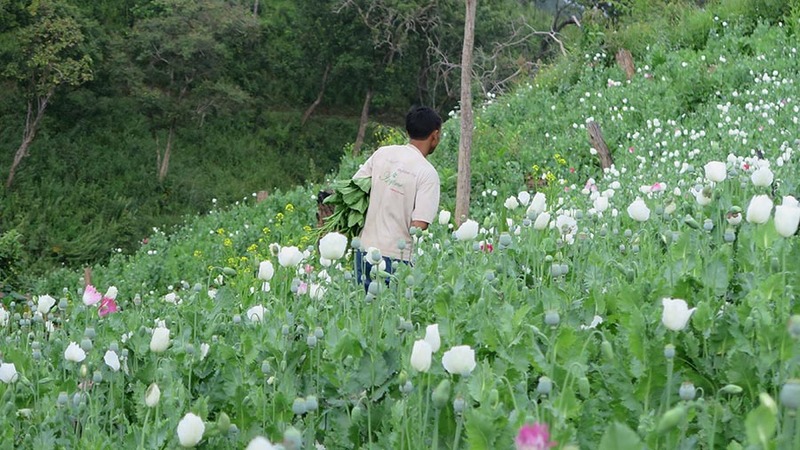 They have come and are doing [illicit drug businesses] mostly in northern Shan State. We must handle this through collaborative efforts,” he said. 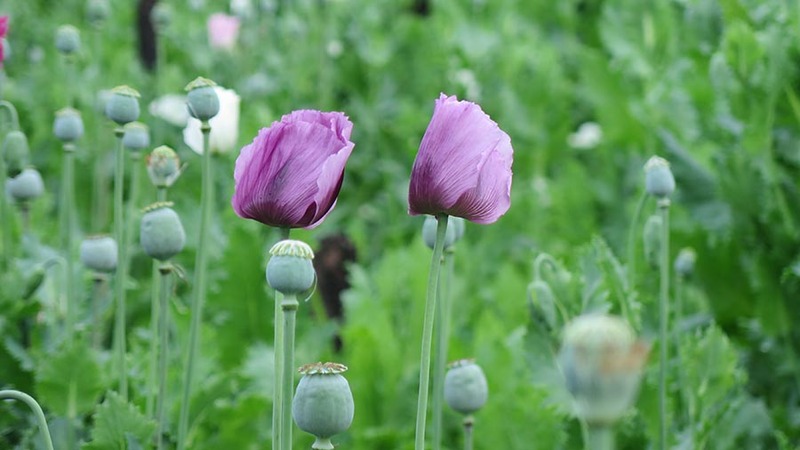 Police Colonel Zaw Lin Tun, the head of Myanmar Anti-Narcotics Police Force, said that it is difficult for the police to control drug production in northern Shan State because of instability and the involvement of government officials in the business. The police colonel reiterated that the Myanmar government objected to signing an agreement of cooperation to fight drugs between the United Wa State Army and the Chinese government because Wa State is a part of Myanmar and the two governments have already signed an official agreement for cooperation, he added. 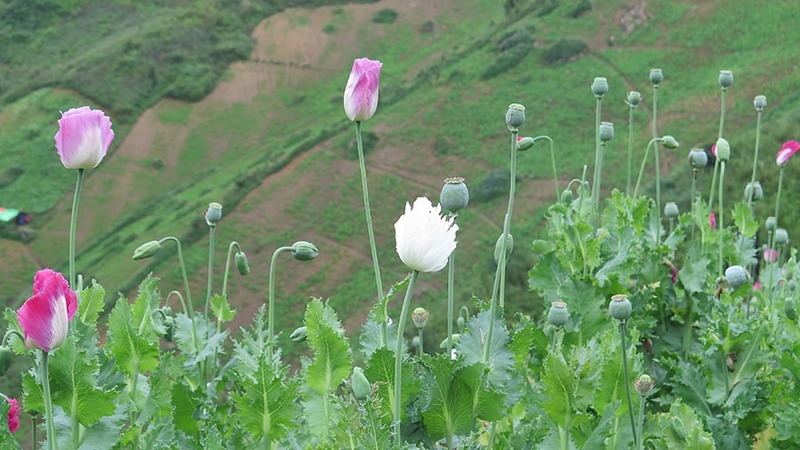 Myanmar was able to reduce opium cultivation by 25 percent last year at the national level, but opium cultivation in northern Shan State and Kachin State did not decline, the UNODC pointed out. The Myanmar government has to make greater efforts to fight drugs. Drug problems, especially in remote and unstable areas, are a major challenge for Myanmar, said the UNODC. “Responding to the situation requires acknowledging some difficult realities and agreeing to new approaches at a strategic regional level. Here in Myanmar it means focusing on peace and security in the Golden Triangle and places where conflict and the drug economy are connected,” said Jeremy Douglas.